It is no secret that the Super Bowl is one of the largest financial draws in the United States. With the popularity of the NFL, the game has become a form of national holiday. On Super Bowl Sunday, Americans spend an estimated $15.3 billion on food, drinks, decorations, and other game-related expenses. Averaging just under 110 million viewers per since 2010, The Super Bowl is the most viewed televised event in the United States. Out of the top twenty-one most viewed broadcasts in history, The Super Bowl holds eighteen spots. With such an immense volume of viewership, the halftime show is one of the most coveted performances in music. On September 19th, the NFL announced that Maroon 5 would perform The Super Bowl halftime show this February. The exposure an artist receives from performing at halftime is unmatched. 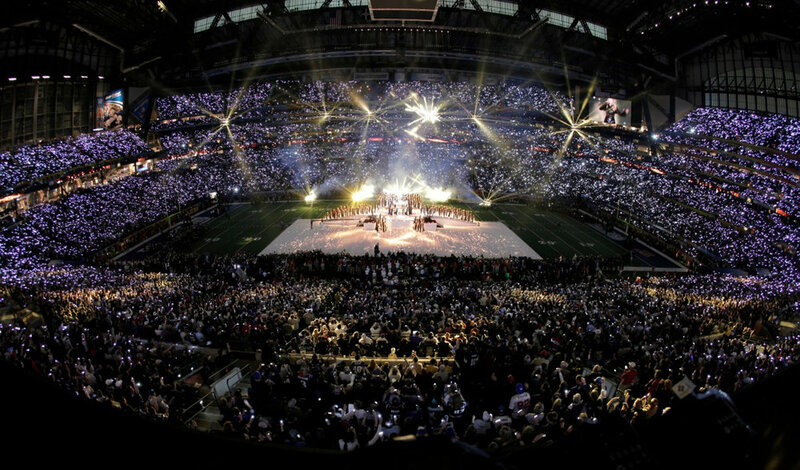 No other televised performance garners even half of the total halftime show viewership. Often, the halftime show receives more viewers than the game itself. In 2017, 111 million people watched the Super Bowl, but Lady Gaga’s halftime show drew in 117.5 million viewers. 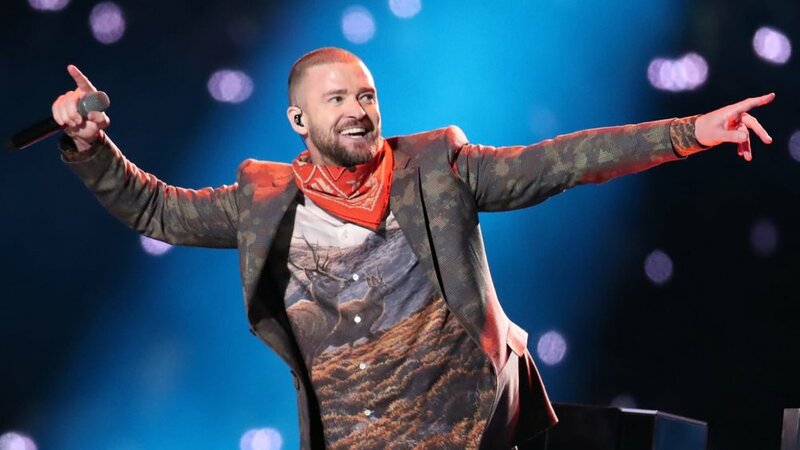 In 2018, an estimated 103 million people watched the game, while Justin Timberlake’s halftime show spiked to 106.6 million viewers. With millions of additional people tuning in for the halftime performance, only the top artists in the world are tapped to perform. But how much does an artist earn when playing for this many people? The quick answer is, well, nothing. The Super Bowl halftime artists are not compensated by the NFL for their performance. Instead, the NFL agrees to cover production costs which can soar over $10 million. In 2014, the NFL actually began asking performers to pay the league for the exposure of the halftime show. Attempting to cash in even further each year, the NFL has asked artists like Lady Gaga, Bruno Mars, Coldplay, Rihanna, and Katy Perry to pay to perform, though none have agreed (at least publicly). Given the intense preparation necessary to put on a successful halftime show, why do artists agree to perform uncompensated? As mentioned, the exposure is lucrative and well worth forgoing an upfront sum from the NFL. In the two weeks after his halftime performance, Bruno Mars saw a 400% increase in album sales. 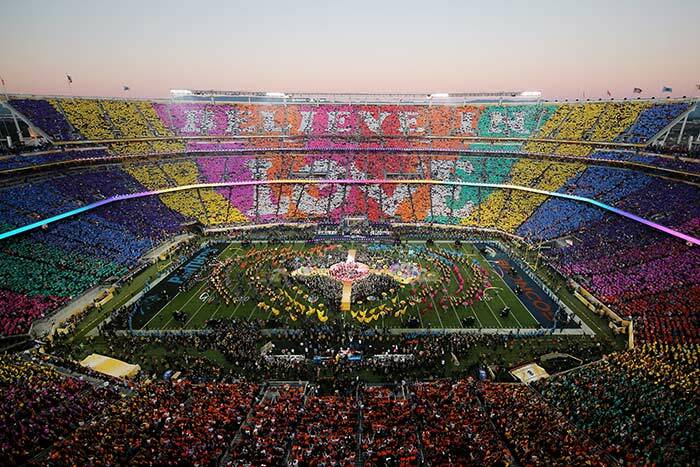 During the week of the Super Bowl 50, Coldplay saw a 365% increase in album sales. Lady Gaga received a digital sales jump of over 1000% on the day of her performance, selling roughly 150,000 albums and singles combined. Also, many performers strategically release a new album or announce tour dates around the halftime show to maximize the potential fan spending. One week prior to Coldplay’s halftime performance, the group announced a world tour. Justin Timberlake planned the release of his album ‘Man of the Woods’ just two days before he took the stage at the Super Bowl. The halftime show provides a platform for top artists to showcase albums and tour announcements on the world’s most monumental stage. The increase in sales and hype around the Super Bowl continues to attract first-rate talent despite the zero dollar performance fee. For the chance to attract seas of spectators, any artist would happily halt their plans to prepare for the Super Bowl. With this year’s game slated for Atlanta, many are outraged that the NFL did not select a homegrown artist. Atlanta is a city with a rich musical history, especially hip-hop. Artists like Usher, Outkast, Ludacris, Future, and Migos are all from Atlanta and have all earned #1 albums. John Mayer has also launched his career from Atlanta, earning multiple #1 albums. Other popular artists such as CeeLo Green, Killer Mike, and Lil’ Yachty all hail from Atlanta. With Atlanta’s overwhelming amount of local talent, fans and artists are disappointed with the NFL for choosing a band that has no ties to the city. Amidst public outcry, the NFL may add an Atlanta-based artist to the lineup, but the spotlight will remain on LA-based Maroon 5. Considering the top tier marketability of the band and popularity of lead singer, Adam Levine, (judge of the singing show, The Voice), it is easy to see how Maroon 5 attracted the attention of Pepsi and the NFL. On the heels of a pure business decision by the league, Atlanta natives and many fans are disappointed that the limelight will not shine on one of ATL’s finest.